I don’t know, those weird characters look like they’re dancing to me. 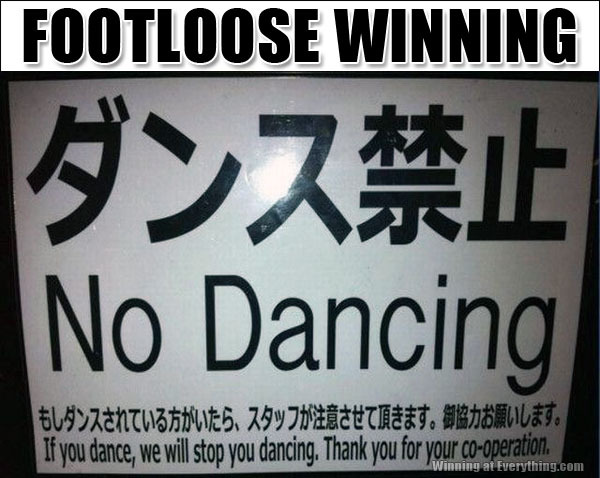 We stop you dancing, right now. They can leave your friends behind. Well they’re, no friends of…um…theirs. There was a time for this law, but not anymore. See, this is our time to dance. It is our way of celebrating life. It’s the way it was in the beginning. It’s the way it’s always been. It’s the way it should be now.